October 25th is World Pasta Day, and to celebrate Via Veneto is offering a 25% discount on all of the restaurant’s pasta dishes all day. Popular dishes included in the offer are the spaghetti con polpettine (homemade pasta, beef meatballs and a rich tomato sauce) , the orecchiette con broccoli (basil pesto, broccolini, homemade ricotta and pecorino) and the tasty penne gorgonzola and noci (creamy gorgonzola sauce, walnuts and sage). Situated in Downtown Dubai, Via Veneto is made up of its ‘osteria’ (bar) and its ‘cucina‘ (a busy dining terrace next to an open-plan kitchen), and has fantastic views of the Burj Khalifa and Downtown Dubai skyline. 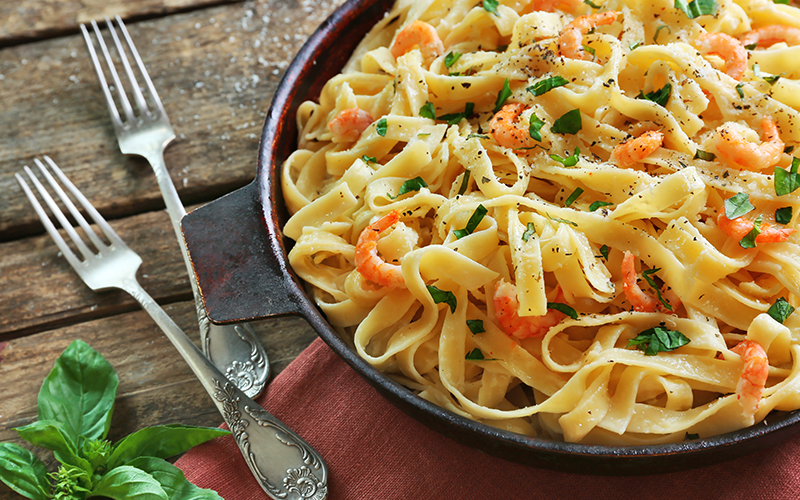 What is World Pasta Day? The first World Pasta Day was celebrated on 25th October 1995. It was created by the World Pasta Congress, and designed to celebrate the cultural history of pasta and promote the food around the world. Details: for more information about the restaurant, visit Via Veneto Dubai.